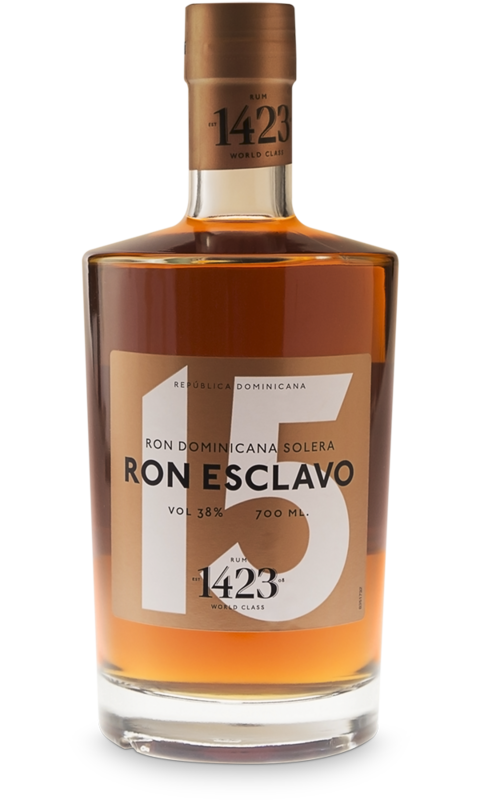 Ron Esclavo 15 is a follow-up of the popular Ron Esclavo 12. It is a blended Solera rum aged up to 15 years. It is pleasant and a perfect ladies’ rum, but it can also be enjoyed with relish by the experienced connoisseur. The aesthetic bottle, which you see through the whole Esclavo series, unveils the dark amber colour of Esclavo 15. Like Esclavo 12, Esclavo 15 also has a sweet and gentle taste. This rum is full-bodied. On the palate, it is sweet and soft with a taste of vanilla, caramel, honey and cinnamon. The finish is long and spicy. On the nose, it is sweet and mild with notes of vanilla and caramel. Drink Esclavo 15 from a glass that brings out the character of the rum, because the flavor is so pleasant and soft. You can always add some ice if necessary.